If the touch screen stops working after waking from sleep, adjust the power management settings so that the touch screen device stays active while the computer is in sleep mode. This setting changes the way your computer sleeps, and might result in more power consumption during sleep. 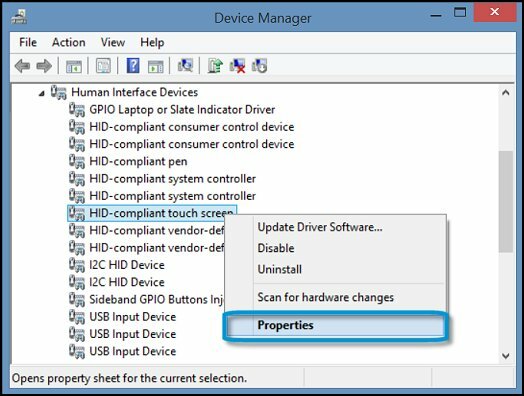 The touch screen device might be labeled HID-compliant touch screen, or similar. Right-click the touch screen device, and select Properties. 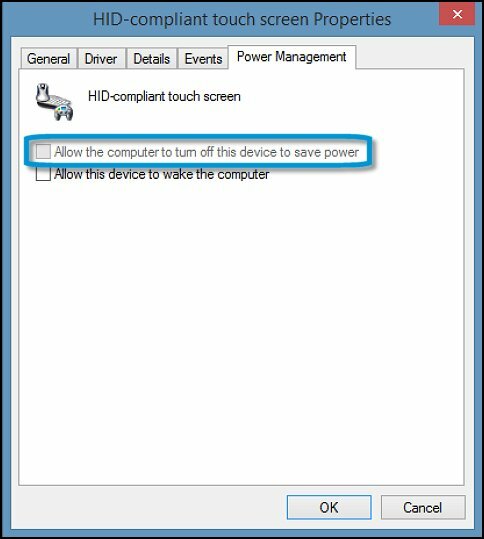 Under the Power Management tab, uncheck Allow the computer to turn off this device to save power, then click OK. The touch screen should remain working after waking the computer from sleep. If touch screen problems continue, proceed to the next step. Also SEE : Solution to touchscreen problems and troubleshooting touchscreen issues.